It goes without saying that we all love Mangoes; may be there are some exceptions but I haven’t met anyone who doesn’t love mangoes. I know people who start looking forward to eating mangoes right from the end of February. 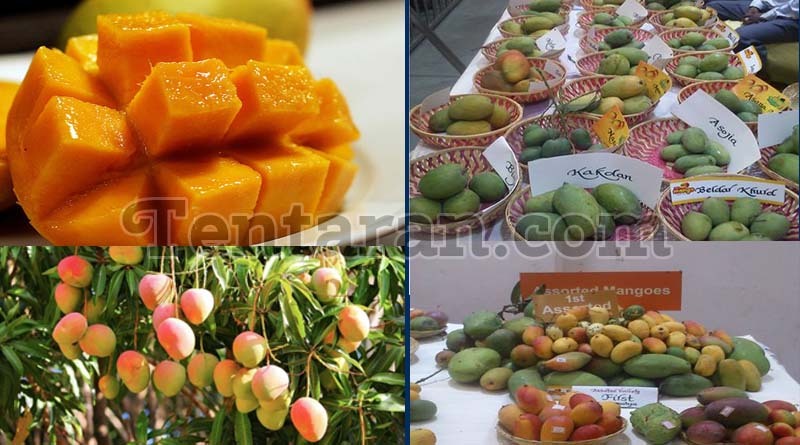 Agree that we do get mangoes in almost all the seasons now but nothing can match the flavour of seasonal fruit. Mangoes are high in vitamins A and C. They also contain Vitamin K, B1, B2, B5, B6, niacin and folate and a wide range of minerals including calcium, magnesium, manganese, potassium to name a few. One cup of mangoes has around 100 calories and provides 12% of average person’s daily dietary fiber and 12% of daily vitamin C requirement. Being rich in enzymes which are helpful in breaking-down proteins consumed, mangoes help in making our immune system healthier. Presence of compounds like quercetin, gallic acid, astragalin, isoquercitrin, fisetin and methylgallat, makes Mangoes helpful in protecting the body against cancer. Being rich in lot of vitamins and nutirents, Mangoes make you feel fuller. The fibre helps boosting the digestive functions of the body thereby burning additional calories. But you have to watch out the quantity. One small mango or half a big mango is all you should eat in a day. Menopausal and pregnant women need more iron for which Doctors always prescribe them iron supplements. Mangoes are rich in iron and hence they are a good natural source of iron. If you can’t avoid going out in the sun, drink a mango shake or juice before exposing yourself to the sun. This will keep you cool from inside and protect you from the heat stroke. Don’t forget to keep sipping water whenever you are out in the sun. Eat them whole or cut, make a mango shake or aam paana, make some dessert or chutney..do whatever you wanna do with your mango . Just go ahead and enjoy the summers with mangoes.